Jim Masella, owner of Masella’s Auto Repair, Inc., graduated first in his class in the Automotive Technology program of Monmouth County Vocational Institute and then went on to complete a two-year Automotive Technology program at Brookdale Community College in New Jersey. After working for Ford Motor Company as a line technician, he became an ASE Master Certified Technician. 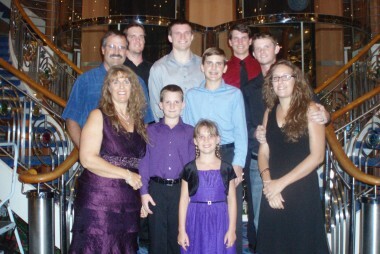 After moving to Florida with his wife, Linda, Jim opened up Masella’s Auto Repair, Inc. in Venice in 1991. 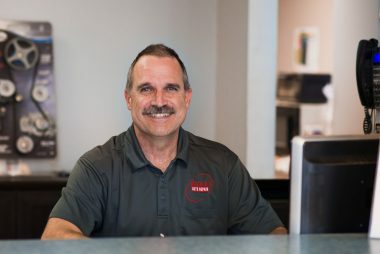 With over 30 years experience in the automotive industry, he is dedicated to serving his customers with honesty and integrity, while providing excellent service at a fair price. Jim is the company’s main service writer and carefully oversees all operations. For over 21 years, Jim has also conducted seminars all over our area on topics like car maintenance and how to avoid auto repair rip-offs and scams. Jim has always sought to run his business according to Biblical principles as he serves God by serving our community. He resides in Venice with his wife, Linda, and their 7 children.